Every reform option on the table — including those expected to be detailed by the Obama administration this week — would have the effect of raising mortgage rates, either by eliminating the implicit government guarantee on Fannie and Freddie mortgage securities, or by charging new fees to offset more of the risk borne by taxpayers.Under the former approach, ending the government guarantee either entirely or above a certain modest mortgage value, rates would go up significantly. The increase might be considerably smaller under the latter option, but only to the extent that the new fees stop short of offsetting the full taxpayer risk. But there is an alternative approach that wouldn’t raise monthly mortgage costs — it might even lower them — yet it would induce the private sector to take on mortgage market risk while minimising taxpayer credit risk. On top of that, it would preserve the ability of the government to run a countercyclical housing policy to combat downturns and it would go a long way toward rationalizing the foreclosure process. Capital Hill first sketched out this idea last summer, and here expands on the idea to provide more detail and explain how it could be put to the test right now without risk of disrupting the flow of housing finance. As policymakers mull the path for moving away from the discredited Fannie-Freddie model, they shouldn’t dismiss the value of being able to start the shift right away, even as housing experts warn of a double-dip in home prices. Among the risks of Republican plans to simply phase out government guarantees is that such a plan could be politically difficult if the transition coincides with an economic hiccup. This new model reflects the reality that there is a portion of each home loan that is very close to riskless. That is the portion backed by the expected foreclosure value of a home given a potential house price decline. Let’s say that portion equals 40% of the purchase price in a “normal” market. Now, say that the government, instead of putting its guarantee behind a conventional (20% down payment) 30-year $160,000 mortgage, opted instead to take on the very low risk of backing the first $80,000 of the loan and providing the borrower with an ultralow, interest-only loan at some modest amount above the 10-year Treasury yield. Based on today’s rates, let’s say 3.8%. A low, interest-only rate on the first $80,000 of the loan would provide private lenders the opportunity to fully price the risk involved in the other $80,000 part of the loan without raising a borrower’s monthly payments compared with the current system of housing finance. This approach could encourage responsible behaviour by borrowers and lenders alike. Because there would be no government bailout for those who invest in bad loans, investors would hold lenders to a higher standard. For borrowers, because the privately financed portion of the loan would carry a higher interest rate, they would have a greater incentive to pay down principal as fast as possible, which would in turn make the loans more secure. And unlike a world in which mortgage risk is all held privately, under this approach private investors would have zero incentive to foreclose, because they would stand to be wiped out, and every incentive to make a loan sustainable if possible. To be eligible for the government rate on the bottom portion of the loan, a borrower’s private loan would have to comply with a few simple regulations, likely limiting the options to 15- or 30-year fixed mortgages. With 30-year government-backed mortgage rates probably headed to 4.9%, this would result in an $850 monthly payment on a $160,000 mortgage. Now consider the alternative financing approach. An $80,000 interest-only loan from the government at a 3.8% rate would run about $253 a month. That would allow for the private portion of the loan to run up to $597 a month without raising monthly payments, which would allow for a 30-year mortgage rate of up to 8.2%. However, little about the current market is “normal.” Ideally, government mortgage subsidies should be countercyclical, shrinking when the economy is on a stronger footing and the housing market needs less support and investors are less risk-averse. So, consistent with the goals of minimising risk while providing market support when needed, the size of the government portion of the loan could move in a countercyclical fashion, going below 40% of the purchase price when markets are operating smoothly and somewhat higher during times of heightened stress. Considering the current climate and the fact that much froth has already come out of home prices, the riskless foreclosure value of a home may exceed 40%, so the interest-only government portion of the loan could be greater than 40%, perhaps 45%, or even as high as 50%. At 45% of the sale price ($90,000 of the $160,000 loan), a 3.8% interest-only loan would run $285 a month. That means a private lender could offer a rate of up to 9% on the other $70,000 of the loan without increasing a borrower’s monthly out-of-pocket compared with current financing. If the maximum government portion of the of loan went as high as 50% of the sales price, private lenders could charge as much as 10.1% without raising a borrower’s out-of-pocket. Without presuming to say exactly what numerical inputs would be appropriate, what seems evident from the above discussion is that affordable mortgage finance needn’t depend on full government guarantees. By taking on only the minimal credit risk of the bottom portion of the loan and charging a low, interest-only rate, the government can entice the financial sector to provide mortgage capital at a risk-based price, all while continuing the flow of mortgage finance whose cost is at least as low as — or even lower than — the current system. What is more, there’s no need to speculate whether private financing would be readily available under this approach. 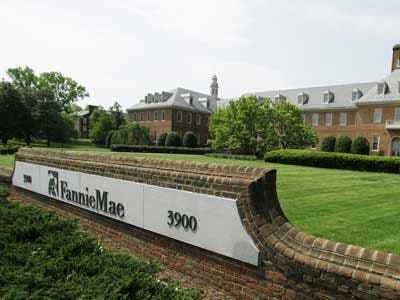 The government can try it out even as Fannie and Freddie continue to do their current job, simply giving this additional option to homebuyers and lenders (for their own portfolios or securitization) and ideally making the terms as attractive as possible during the proof-of-concept phase. To catch on, the total monthly out-of-pocket for borrowers would have to be somewhat lower than under current financing. This is because, given the interest-only nature of the government portion, a borrower at the end of the 30-year period would have less equity in a home (even though they would likely refinance the high-interest-rate portion of the loan after paying down principal). But that seems doable. Say, for example, that the government provided a 3.8% interest-only rate on 50% of the purchase price, or the bottom $100,000 of a $160,000 loan, and private financing was available at an 8% rate on the upper $60,000 portion. This would result in total monthly out-of-pocket of $757, or 11% less than under current financing. The biggest problem with any housing finance model dependent on government guarantees is that investors and lenders have marginal incentive to care about the quality of underlying loans, so the full responsibility for protecting taxpayers shifts to fallible regulators. This model would have private investors take the first loss, thereby validating government aid to homebuyers that is designed to keep the housing market stable and affordable, to promote responsible lending and to begin the shift away from fully guaranteed mortgages without delay. This post originally appeared on Investors.com.